Are the health claims of manuka honey pure hype? What has a slightly bitter taste, smells like damp earth and costs more than a bottle of champagne? A 500g jar of manuka honey. At $73, the jar we picked up from the supermarket was $5 more than a bottle of Piper-Heidsieck and $8 more than Veuve Clicquot. Not all manuka honey is this expensive. Some blended varieties cost less than $10. But you pay a premium for products that claim to be purer. Why the high price? Manuka honey can contain an unusual type of antibacterial activity at levels not found in other honeys. This antibacterial activity has only been demonstrated in medical-grade honey used as a topical antiseptic. There’s no hard evidence the honey has any antibacterial effect when eaten. But that hasn't dulled the health hype. Competition for the manuka-honey dollar has led to a raft of label claims. Common claims refer to the antibacterial activity of manuka honey. These often take the form of a grading system: “UMF Active 10+”, “Certified NPA Manuka 15+”, “Active 15+” and so on. Typically, the higher the number within each grading system, the higher the claimed level of antibacterial activity – and the higher the price. Manuka honey exports are priced according to their methylglyoxal content. Methylglyoxal is thought to be the major contributor to manuka honey’s non-peroxide antibacterial activity (see “What’s in a name?”). Last season, bulk prices for honey with high levels of the compound were up to $60 per kg. Honey with low levels was one-third the price. Methylglyoxal levels are easy to test. But the levels fluctuate over the honey’s shelf life – which means there’s no set amount upon which to pin a classification. To make matters worse, there are reports honey in the jar doesn’t always live up to the claims on the label. In June, a UK trade magazine called The Grocer published the results of a lab test of seven randomly selected jars of manuka honey. Five failed to meet their claimed levels of antibacterial activity. The Grocer's investigation generated negative publicity of manuka honey. It’s not the first time the honey has encountered bad press. Last year, the UK’s Food Standards Agency warned some ordinary honey may have been falsely sold as manuka honey. Enter NZ’s Ministry for Primary Industries. In July, it released a voluntary interim labelling guide to iron out concerns about manuka honey’s authenticity. The guide sets out what statements can and can’t be made on a jar of manuka honey. Mostly, it’s a summary of the requirements that already exist in the Australia New Zealand Food Standards Code. Under the Code, therapeutic claims aren’t allowed on food labels. A therapeutic claim is any reference to the prevention, diagnosis, cure or alleviation of a disease, disorder or condition. These references are also considered misleading because manuka honey has no proven antibacterial effect when eaten. The Unique Manuka Factor grading system (UMF) has been impacted by the guide. This system – which ranges from UMF 5+ to UMF 25+ – measures the honey’s antibacterial activity when compared with phenol (an antiseptic). As such, it’s a therapeutic claim. The Unique Manuka Factor Honey Association is fast-tracking changes to its system. The association’s John Rawcliffe says numeric grades will remain on UMF-branded honey but they’ll no longer refer to the honey’s antibacterial activity. Instead, they’ll measure its “quality” and “purity”. How the numbers will relate to these two properties is still being determined. Rawcliffe argues “the whole industry has a fair amount of work to do to comply with these guidelines. It’s not just the association’s members. It’s everyone that’s using terms like ‘active’, ‘bioactive’ and ‘methylglyoxal’ in [an antibacterial] context”. Peroxide activity is the antibacterial activity resulting from hydrogen peroxide, which is a component of honeys. Claim not permitted. Non-peroxide activity is the antibacterial activity not connected with hydrogen peroxide. Manuka honey can contain a high level of non-peroxide activity, which supposedly sets it apart from other honeys. Claim not permitted. Methylglyoxal is thought to be the major contributor to manuka honey’s non-peroxide activity. References to methylglyoxal are permitted on honey labels provided they’re not used to imply an antibacterial effect. Claim permitted. Pollen count is used to indicate the type of honey. But manuka honey can contain manuka and kanuka pollen. It’s hard to differentiate between the two. Claim permitted. Grading systems that measure methylglyoxal will still be allowed on honey labels as long as they’re not used to imply an antibacterial effect. 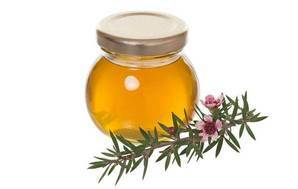 However, the ministry has conceded methylglyoxal levels are a reasonably weak method for identifying manuka honey. Despite having analysed the data associated with 11,000 honey samples, the ministry is struggling to develop a foolproof means of identifying manuka honey – although it has come up with broad manuka-honey characteristics. Among other properties, the honey should have a slightly bitter, mineral flavour; the aroma of damp earth and heather; and a light amber or darker colour. The ministry has several projects to investigating a better means of identifying the honey. It has spent $250,000 on the projects and more will be spent. New findings will be added to the interim labelling guide when they become available. There’s no hard evidence manuka honey has proven antibacterial benefits when eaten. That’s something to keep in mind when you’re comparing a jar of expensive “15+” manuka honey with a cheaper brand. While the interim labelling guide is welcome, many claims on jars of manuka honey were already prohibited under the Australia New Zealand Food Standards Code. Why were they allowed to spread? Until there’s a standardised test for manuka honey, consumers risk paying a premium for products that don’t stack up. Manuka Health New Zealand established the MGO Manuka Honey grading system, which measures the level of methylglyoxal in milligrams per kilogram of honey. The grade starts at MGO 30+ and goes up to MGO 550+. Last year, the company was warned by the Commerce Commission for overstating the link between methylglyoxal and non-peroxide activity. The commission said the company’s claims were likely to mislead consumers about the actual level of non-peroxide activity in its honey. Before the warning was issued, the company advised the commission it had decided to remove any reference to non-peroxide activity from its marketing material. I don't understand why Manuka Honey is so much more expensive than other honeys. Is it because of production costs/meeting standards or is it manufacturers cashing in on the hype surrounding health benefits? Thanks for your comment. Hype around manuka honey has played a part in pushing up the price, both here and overseas. Bulk manuka honey with a high level of methylglyoxal (supposedly the major contributor to manuka honey’s antibacterial activity) fetched up to $60 per kg in 2012/2013. In comparison, manuka honey with no methylglyoxal sold for a maximum of $17 per kg. Despite the health hype, there’s no hard evidence manuka honey has proven antibacterial benefits when eaten – something that’s worth bearing in mind when you’re comparing a jar of expensive manuka honey with a cheaper brand. Despite the hype this honey is one I prefer as it seems to be better than plain. I do wonder though, if I am a victim of this hype, as standard honey on toast is okay if a little sweet but Manuka does seem to be a healer for which we have used it as well on toast.The main problem I have is while reading the label some aspects don't feel the whole story and one often wonders on the truth.